It’s a new day and a new leak for Apple iPhone 7, After the tremendous success of the iPhone 6 Plus and iPhone 6S Plus, Apple is all set for its newer offering- the iPhone 7. The iPhone 7 will be hosting a ton of new features and with the new and Apple wants to add some fun colour to it as per the previous report but the new leaks suggest something else. A new leak shows us a photo of what appears to be all the color variants for the new iPhone. If you recall, there were some rumors claiming that we should expect a new Deep Blue finish, or a Space Black shade, which was said to be replacing the Space Gray. 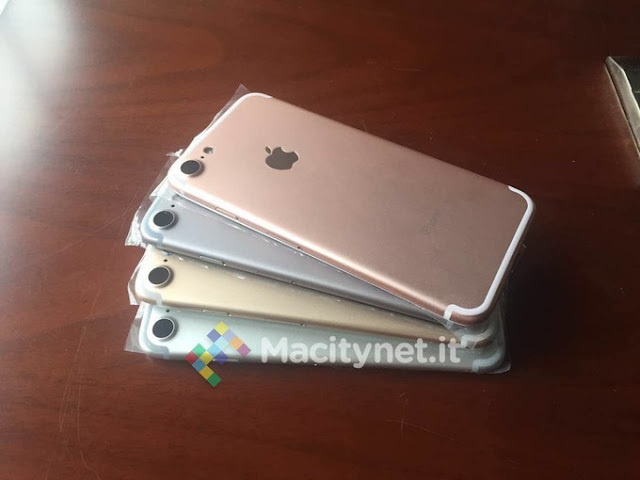 However, looking at the photo here, we see the same old (from bottom to top) Silver, Gold, Space Gray, and the new-ish Rose Gold. Well the possibility can be the Apple iPhone 7 might shows its other color at the time of launch. Remember it’s going to be the Special handset’s that will be celebrating 10-year anniversary, So it make sense Apple to Introduce new fun color to it Apple new iPhone 7. Do tell us which color you want for new iPhone 7 in our comment section.